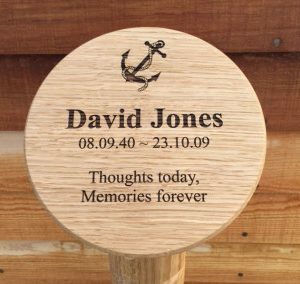 In keeping with the Park’s environmentally conscious ethos, we use solid oak memorials to mark burial plots. 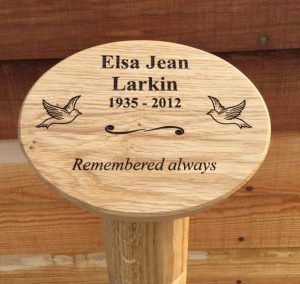 To ensure a consistent look that works harmoniously with the natural environment, we request that all memorials are purchased through the Park. 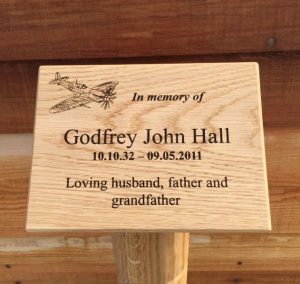 You are welcome to use a solid oak memorial post and plaque in the Bluebell Wood or Diamond Jubilee Wood. 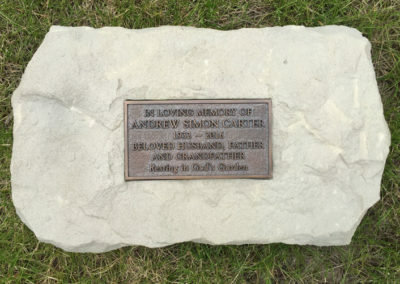 Memorial Stones can be laid in the Diamond Jubilee Wood and in the Wildflower and Woodland Meadows. 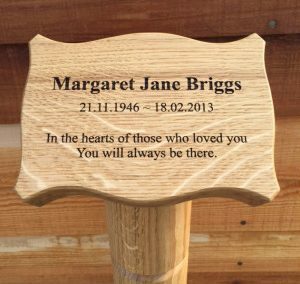 We offer these bespoke memorials in a range of styles. 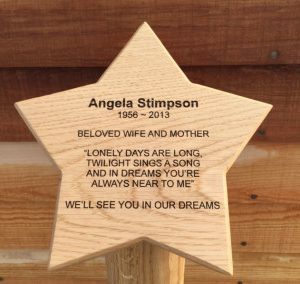 Visit the prices and options page for a complete list of all burial and memorial costs. Prices are subject to annual review and depend on location within the Park. 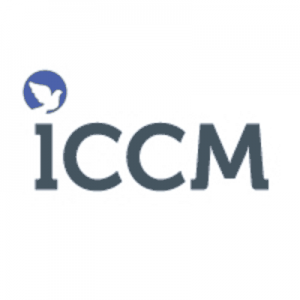 Prices are reviewed annually on 31st March. 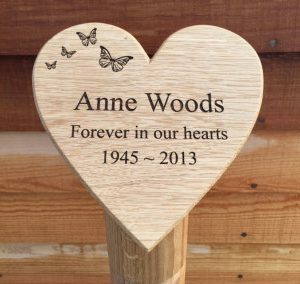 A percentage of all burial plot purchases are reserved for the long-term maintenance of Norfolk Bluebell Wood Burial Park.